Calling for all UFirst Adventure Quest 2017 participants ! 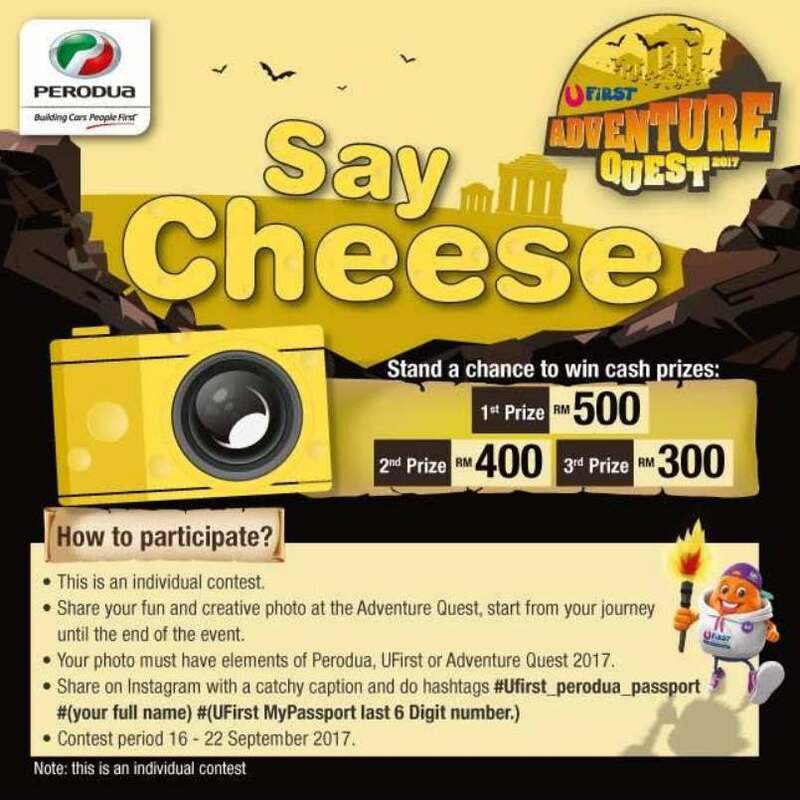 Join Say CHEESE contest & win cash prizes. Share your fun & creative photos now on your Instagram throughout the journey to the Lost World of Tambun until the end of the event. Hurry, don’t missed out ! Contest ends 22 Sep 2017. Find out more at Perodua.